Our mission is to provide the best quality instruction to all types of learning styles. We are state certified and exceed our state's already high expectations through our cutting edge curriculum, compassionate, knowledgeable staff, and dedication to improving public safety in our state. 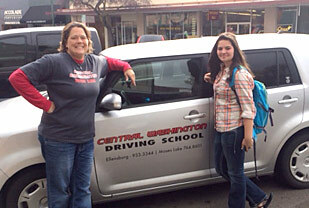 Central Washington Driving School Was founded in 2002 when the Traffic Safety Education Programs in the public school system were no longer receiving funding from the state. There are now 6 locations throughout Central Washington.